We welcome your tributes to family and ancestors who served during the Second World War and are connected with the village of Box through birth, residency or other reasons. By 1942, with the war still raging, my father, Donald Warren, and my aunt, Audrey, had both joined the forces. At the time Donald was living at 67, Aldhelm Crescent, Box Highlands. Audrey had joined the Women's Royal Navy Service otherwise known as the WRENs and Donald joined the Royal Air Force. He joined in November 1942, was assessed for flying ability in De Havilland Tiger Moth aircraft and sent to Canada in July 1943. There he trained in Cornell and Avro Anson aircraft before gaining his wings in November 1944. Back in England he had training in Avro Lancaster bombers before he contracted polio and spent a year in hospital. He returned to flying Tiger Moths, Airspeed Oxfords and then in Avro Yorks. 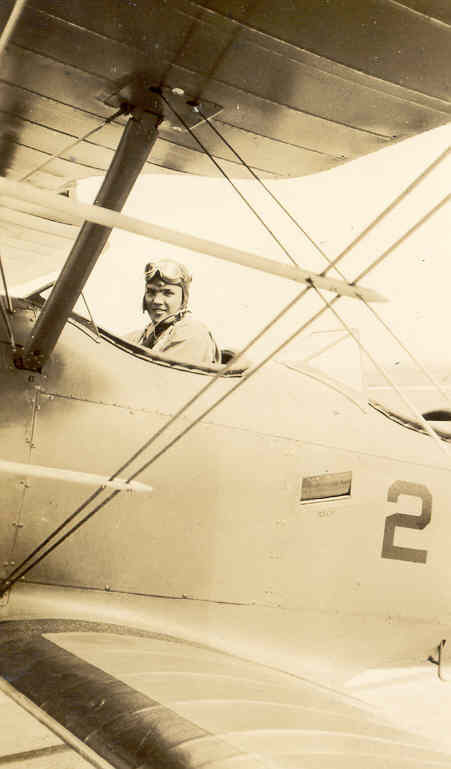 Donald then flew over 150 flights in Yorks mainly to Egypt and India. In 1948 this was followed by 91 flights on the Berlin Air Lift delivering supplies to the city. The next aircraft Donald flew was the Douglas Dakota, making 90 flight before his final flying experience of 72 flights in Dakotas towing gliders, leaving the RAF in 1950. I met my husband, Ron, at a dance in the Bingham Hall. Both of us had attended Box school but I didn't really know him then. Before the war, Ron had started as an apprentice mechanic down at Jay's Garage by the Northey and he worked his way up to an engineer. I married him in June 1940 just prior to Ron going away to North Africa where he served for four and a half years, and in the Middle East with the 8th Army, as a so-called desert rat. We got married on a Saturday and my husband went back into the army on the Monday. I was looking after my mother and step-father then. My husband was chasing Rommel up and down the desert. Then he went to Monte Casino. He never said any more about it, just saying he was there. They had to go without food for a long while at that time. On his return from war Ron and I had many happy years together. You can read more of Stella's memories at Clarke Family. The boys of Box have lost their ”colonel”. That is the name by which Mr Philip Lambert is affectionately known to almost every boy in the village. In a space of a few years he re-organised the Box Boy Scouts and made them into one of the smartest and most enthusiastic troops in the West Country. Mr Lambert has now gone to war work in the midlands and has given up his work as assistant sub-contractor in the Bath and Portland Stone Firms. Thus was announced my father’s departure from the village when he joined the Civil Service in 1940 as Chief Clerk and assistant to the Officer I/C RE (Officer in charge Royal Engineers) Stores in South Wales. He carried out this work for almost the remainder of the war mainly in Porthcawl, Cardiff, and Llantrisant and obviously became fairly indispensable as his actual call-up to serve in the Corps of the RE didn’t come until 27 June 1944. However he did become a member of the Home Guard under the Civil Defence Duties (Compulsory Enrolment) Order, 1942. After much training in fire-fighting, lectures on the effects of incendiary bombs and such-like, he served in several different companies wherever he was working at the time. Fortunately he did not encounter any enemy action. The year or so that he spent in Porthcawl was a time when young people were on the move, when life was uncertain and when emotions were heightened. Phil met the young Mary Buckman and they duly wed in 1943. On the day that Phil embarked on his brief Army career and set sail on the SS Pasteur for the Middle East, peace was declared in Europe. He travelled to Egypt, Palestine, via Jordan to Iraq and then to Bahrein, enjoying the new sights, sounds and smells of hitherto unfamiliar countries. He took the opportunity, with the absence of hostilities, to do a lot of sight-seeing, especially in the Holy Land, to play a lot of golf and football and to see a lot of films! He was sustained throughout with regular letters from friends and family in Box and especially from his new bride in Porthcawl with news of their developing young family. As soon as Phil received his ‘B’ release notice in December 1945, he wrote to ask for a position back with the Bath and Portland Stone Firms, which was duly granted. He was very fortunate not to be in the position of so many returning Forces personnel after the end of hostilities who were then unable to find employment. He was welcomed back to the family fold with open arms, but then found that his new job necessitated him working in Portland where he was unable to find accommodation for the family, another common problem for people after the war. Eventually, by dogged perseverance and after several failed attempts, he secured a job ideally suited to his experience and capabilities in Chippenham. Now he was able to return with his new family to live in Box, the village that he knew and loved. Our dad, Alec Cogswell, was just twenty years old when he enlisted for duty in the Second World War. 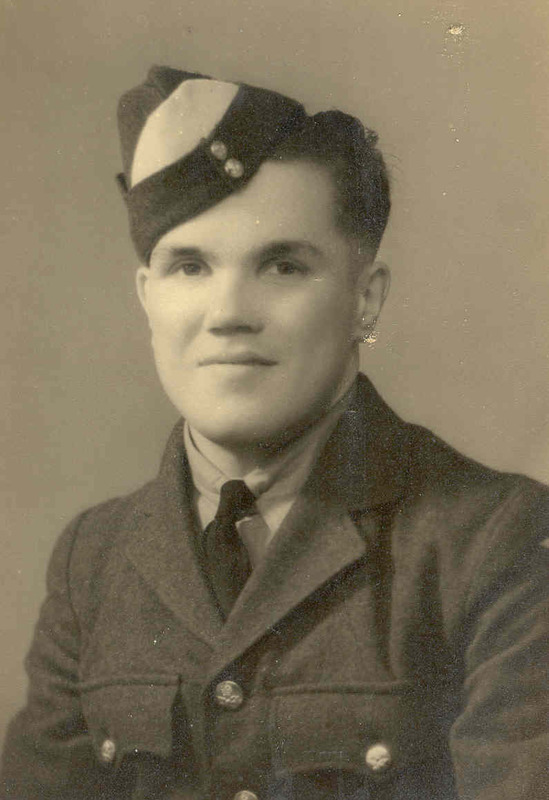 He enrolled to join the RAF and left for Canada in 1940, training firstly at Lakeburn, Moncton, New Brunswick, on the eastern coast not far from Quebec and Montreal. Later he went to Pensacola, Florida, USA, before returning to Europe to Coastal Command, patrolling the Atlantic between Northern Ireland and Bergen, Norway. The training of aircrews was a major contribution by Canada to the Allies' Second World War effort. Across the Atlantic, there was plenty of good air space beyond the reach of enemy planes and the Canadian government developed a whole range of aircraft for use in Britain's training and active military needs. Farmland was made into paved runways and landing tarmacs with hangers and other buildings for training needs. It has been estimated that 3,000 trainees graduated from Canadian air schools each month, including pilots, navigators, wireless operators, gunners and engineers. My grandparents, Norman and Evelyn Martin, ran a radio and electrical shop at No 1 The Parade in the early 1930s but it didn't provide enough income for them to support a family in the depressed years before the war and Norman for a time was a salesman for Hoover, until they gave up the shop in the years approaching the Second World War. As a trained electrician Norman was a go-to person in the village for any radio or electrical work and he installed new lighting in Box Church, and maintained the electrics in the old Bingham Hall. He was even more useful when the army moved into the underground quarries. As Nazi Germany had found, the advent of war led to a huge economic stimulus and Norman started to work as an electrician with the War Department for the Central Ammunitions Depot at The Ridge, near Neston, a massive storage complex holding artillery shells, bombs and other munitions. He was now 38 and in a reserved occupation, so was not called up for active military service. So he joined the Box Home Guard under Colonel Morley, which had been formed soon after the start of hostilities. Living at 5 High Street, Box, with two small children but no indoor bathroom, Martin and Evelyn had two WAAFs (Women's Auxiliary Air Force Officers) billeted on them, then took in relatives from the Bath Blitz and later family from London seeking to escape the doodle bugs.